I've been looking for ideas for Sophie's birthday and as her birthday is in June, I thought a playhouse for the garden would be perfect and it means she can use it over Summer. I wanted to write all of my plans down, so I thought I would share them with you too. We went to a local garden centre recently, to have a look at their wooden playhouses and Sophie loved looking around each one. Although Toby decided he wanted to build it himself, as it will obviously work out a lot cheaper but it also makes it more special. So in the meantime, I've been looking at different themes for it. I knew instantly that I didn't want anything too pink and girly, as that's what her bedroom currently looks like. I love the monochrome trend at the moment and thought that it would also look great in the new playhouse. I've been wanting to update one of the rooms in our house as there are so many lovely monochrome items and accessories, but we only moved house last year and we bought new furniture etc. so it's not really necessary. I'm going to paint the inside white and add monochrome prints and accessories. 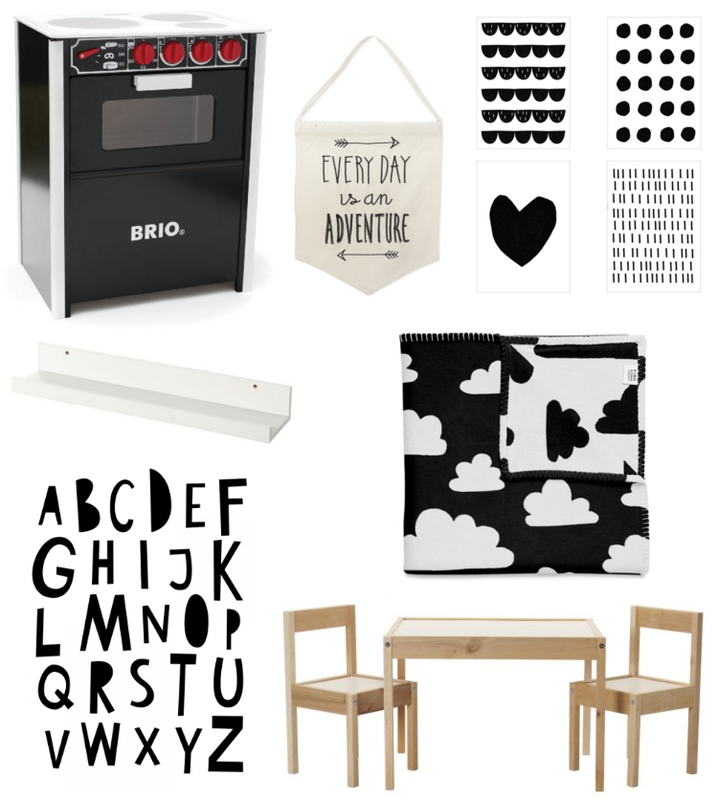 I'd like to have a small roleplay corner, with a kitchen for her to play with, as well as a reading corner with cushions and blankets & one or two picture ledges from Ikea to hold books. It's going to be a two storey playhouse and I'm going to paint the outside pale grey. I'd love for it to have white planters underneath the window too, so I can fill it with flowers. 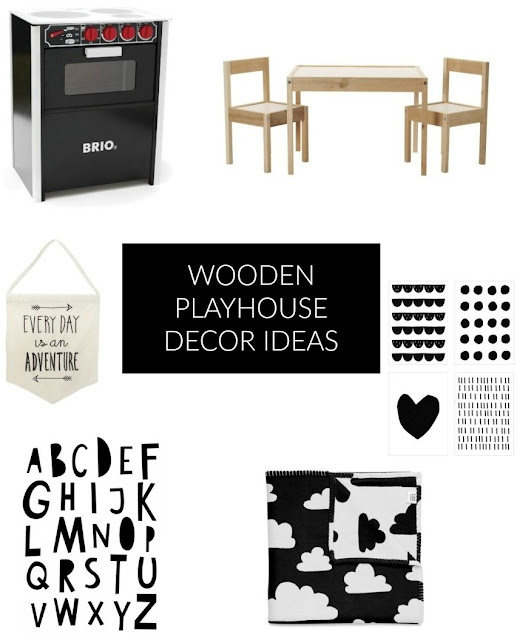 Do your children have a playhouse?